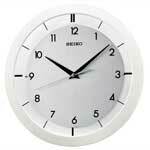 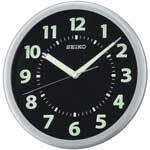 The Seiko QHR020WLH R-Wave Radio Controlled LCD Clock is a rectangular clock in a white case. 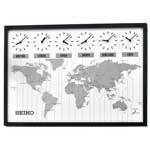 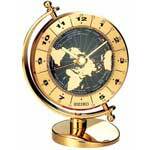 This Atomic clock can be used for wall mount or a flip-out stand creates a desk clock. 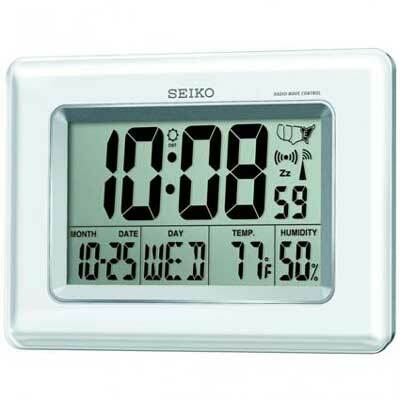 The LCD Multi-Function Display features an Alarm feature, Hygrometer, Temperature, and an Automatic calendar with 12/24 hour display. 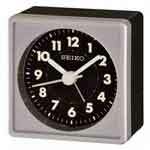 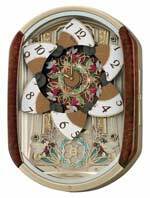 This clock operates on 2 AA batteries (included).